High Fives for Six Quartets! Paul Katz, cellist and master teacher/coach, introduced his three-concert mini-festival of string quartets with an informal welcome which he could barely hide his well-earned pride in the mentoring and training he has led at the New England Conservatory since 2001. Six ensembles participated, five of which have graduated from NEC’s Professional String Quartet Training Program, and one which is currently enrolled. These ensembles have gone on to win many coveted prizes and gain professional management and residencies. 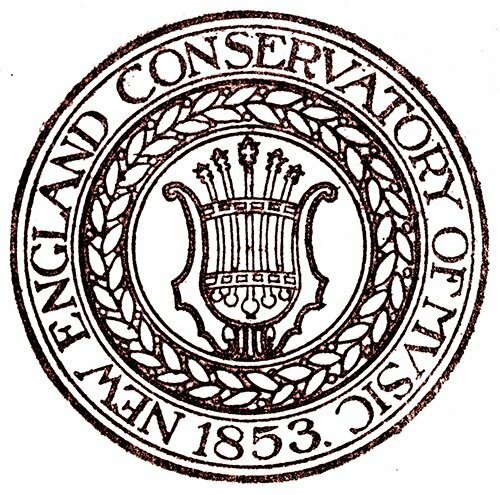 The events also spoke to the conservatory’s 150th Anniversary [by some reckonings]. Katz had previously led a similar effort at the Eastman School of Music before bringing his well-marinated musicianship (as cellist with the Cleveland Quartet) and administrative skills to the path-breaking approach to NEC. The performances that followed on the evenings of April 1st, 4th and 8th testified strongly to his claim that this was a unique course of study — possibly the best in the world. While there is no easy way of judging that, I can now happily attest to the excellent results. Only pre-formed groups may apply for this graduate program, and acceptance is made not only on performance level, but also on the basis of the NEC string faculty’s judgment that each member of a group is whole-heartedly pledged to the ensemble and to the tough commitment necessary to pursue a career together[see BMInt’s interview with Katz HERE]. 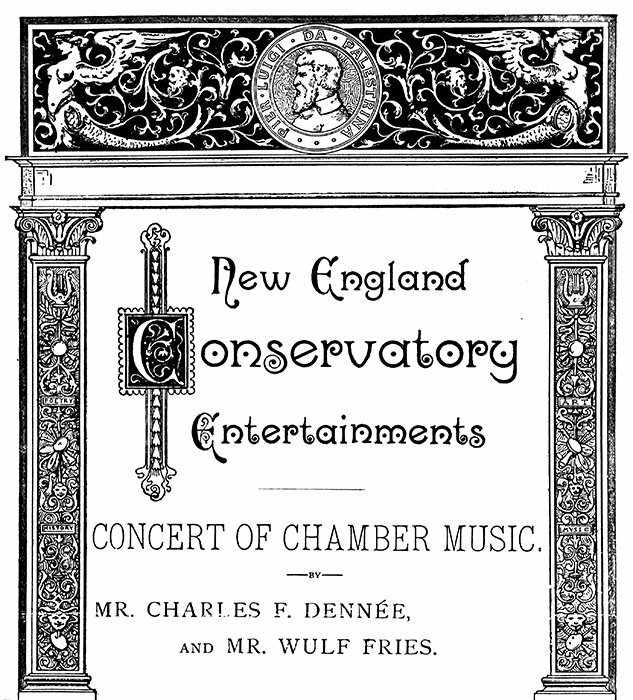 The challenges are many: a commitment to learning and advocating for a substantial, representative chunk of the vast repertoire for string quartet; a willingness to come to consensus on the interpretation of any given work; a determination to work on many levels to build an audience; and the stamina to enter far-flung competitions. Then there are strategic decisions and challenges: what to record, and how to weather of the vicissitudes of concert life, such as dealing with management, networking to find potential concerts, making travel plans together, accepting very different fees from different venues; and perhaps most important: seeking stable institutional support without which it is difficult for an ensemble to feel rooted. This latter is particularly important for the personal lives of its members, and consequently for the consistency of personnel in the ensemble. Regarding this last, I might note here that I have played quartets professionally for over 40 years, including a 29-year tenure with the Lydian String Quartet. I am grateful to Brandeis University for having continued to commit to having “The Lyds” as a resident performing and teaching ensemble, even when the economic chips were down. I had tried to form quartets before this engagement, but I had found that without the support of a university, a museum or a public school system, sustaining a quartet season and career is next to impossible in the U.S., partly due to the woeful lack of government funding for the arts. An uneven string of concerts in disparate places — involving expensive travel (the cello must have an airplane seat, too!) as well as lodging — is not by itself sufficient for an ensemble’s long-term survival, alas. The element of programming may also play a part in the difficulty in getting a foothold in our amorphous culture. Quartets need to advocate for colorful, local works as well as tried-and-true European classics in order to grow their audience. 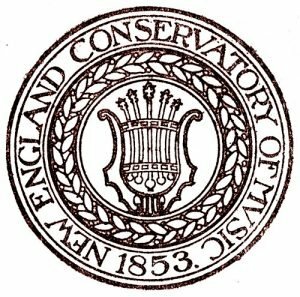 Today, serious young quartets competing for a place in the sun know this, and so I am full of admiration and hope for the courageous young ensembles featured in these concerts at NEC, and wish them well for the highly unpredictable professional future. The structure of these concerts was varied, stimulating and well thought out. With six different quartets (two each on three nights), the inevitable comparisons were both mitigated and enriched by the inclusion of two sextets, and octet and a quintet. Thus, each ensemble was heard alone, and then most of them combined with members of their partner quartet of the evening. In the case of the quintet, Katz himself joined the Verona Quartet in a very satisfying performance of the timeless Schubert Quintet. Here follows a chronological review of the three concerts. The Parker Quartet, Blodgett Artists-in-Residence at the Harvard’s Department of Music, began with a terse traversal of Igor Stravinsky’s Concertino, which the composer later reworked for 12 instruments. Both versions have an extended violin solo in double-stops which is a great challenge for the first, hence the title “concertino” (little concerto). The piece features typical Stravinskian qualities: dry, brittle staccatos, off-kilter rhythms, and some intentionally cold, barren chordal writing. In some ways, it’s an anti-string quartet, consciously eschewing the warmth of sound and the democratic rhetoric so typical of classical quartets. It works because of its propulsion and its brevity. The Parkers brought it off brilliantly, not trying to prettify it, yet never overplaying its jaggedness. Kristopher Tong of the Borromeo Quartet (in residence at NEC) sat in heroically for the regular second violinist, who is leaving the group. One would never have known Kris was a “guest.” The integration and mutual sympathy is partly explained by the fact that these four were students together. The Jupiter Quartet, currently artists-in-residence at the University of Illinois, chose as their “solo” contribution three individual selections from Dvořák’s beautiful suite of transcriptions of his own love songs that he called Cypresses. Here they handled the songful warmth and the composer’s even-handed distribution of leading lines wonderfully. With its breathtaking instrumental color, time-taking and sensitivity to the harmony, this was the sort of reading that makes one wonder why these pieces aren’t offered much more often. Perhaps this is because there are surprisingly few single-movement works, and these exceptions get short shrift in concerts. This situation has been changing somewhat in recent years, with the composition of single-movement quartets, often by American composers. The Jupiter Quartet’s particular choice and exquisite interpretation of Cypresses reminded this listener of Dvořák’s skill as a harmonic colorist. The two ensembles combined in different configurations in two large-scale sextets: Schoenberg’s Verklärte Nacht (Transfigured Night) brought the first half of the concert to a close, and Brahms’s magnificent Sextet in G Major closed out the evening. Schoenberg’s passionate, heartfelt tone-poem dramatizes Richard Dehmel’s poem of the same name. The text’s narrative and imagery create a moving dramatization of redemption from “sin” through honest human relationship, forgiveness and empathy. Schoenberg’s musical treatment is one of the most detailed, luminous and ambitious translations of an explicit human drama into “abstract” music that this musician can recall. The poem, which takes barely two minutes to read, received an opulent, repetitive, searching, extensive transformation. In its half-hour length, it exponentially amplifies the concise imagery of the poem into lavish sounds, mounting sequences, overwhelming climaxes — as perhaps only music can convincingly do; and it evokes real dialogue between the lovers in the poem. It also reminds us that a romantic soul hid within the young Schoenberg, who is too often dismissed as a doctrinaire pedant who sold his soul for a system of composition. If one knows the gist of the poem, Transfigured Night conveys a clear and deeply affect. (Thank you, cellist Daniel McDonough, for your spoken synopsis!) The perennial problem with the piece comes from its over-ripe musical detail, so much of which goes unheard. The composer too often obscures his main musical ideas and motives with cluttered, overly decorative accompaniment. That fussy detail bespeaks his earnest intent and determination to be taken seriously, but a successful interpretation necessitates considerable re-adjustment of the dynamics throughout, so that foreground and background are easily distinguishable. That takes a lot of time in rehearsal, and an objective ear, such as a coach or a microphone catching the overall picture, which is so hard to appreciate from within the ensemble. These days, when an ensemble comes together for this behemoth, there is rarely time for such luxuries. That seems to have been the case here. The Jupiter and their collegial guests put forth a wonderfully communal conception when it came to pacing, time-taking, emphasis and an understanding of the style, but a more pro-active texturing can only come from the de facto re-editing of the dynamics. The success of the work’s musical/human narrative is better served by taking that rather tedious trouble in rehearsal. In addition to Jordan Hall’s acoustical challenges (intricate detail is often lost in the buttery reverberation, especially when there are a lot of empty seats), the two violins in this performance were darker sounding than the other instruments, and they therefore needed even more dynamic discretion from the others. Interestingly, the two violists’ solos came through well – doubtless because many are in the higher registers of those instruments. Cello solo lines came through when the others gave them room, but not always. I would encourage a more radical approach to dynamic texturing in this work (and by extension: all works, actually). There are, to be sure, many passages that justify a simultaneous, full-throated approach by all instruments, creating a gorgeous, rich ensemble sound, but far more frequently, a pains-taking revision and exaggeration of the louds and softs than we heard is needed to render a more comprehensible musical/poetic narrative. The counterpoint and conversational aspects of the particular human drama in Transfigued Night would be all the more apparent and telling. The Brahms Sextet has many fewer problems of balance, because of both the composer’s compositional style (much more classical and spare than Schoenberg’s, though no less passionate), and his keen sense of what projects well. This glorious masterpiece is characterized by a clarity and conciseness of expression despite its considerable length. Perhaps the opening theme of the first movement could have had a more searching arc, but the nobility of the second theme seemed just right. The contrast in the two distinct styles of music in the Scherzo was delightfully bracing: the bittersweet, gossamer opening vs. the riotous, Bohemian furiant that constitutes its mid-section. The Adagio received as profound a reading as I have ever heard, and its warm, benedictory coda had me in tears. The skittery, virtuosic finale scintillated. In a felicitous bit of planning, the Omer and Harlem Quartets offered, back to back, widely contrasting works by Anton Webern. A trained musicologist as well as composer, Webern was an intense perceiver and creator of music, and a man full of tragic contradictions. His biography reflects the turmoil of the mid-20th century. The Harlem Quartet played his brief but poignant Langsamer Satz (Slow Movement), which shows the influence of both Wagner and Mahler, and even of Verklärte Nacht by Schoenberg, with whom Webern was studying at the time of composition. This work’s largeness of spirit stands strangely at odds with its brevity. The Harlem Quartet perceived this well and brought it off convincingly, with warmth, convincing climaxes and a final, effective ebbing into silence. So dramatically different are Webern’s intentionally atonal Bagatelles, Op. 9. These miniatures are quintessential Webern: compressed, gestural, whispering, yet always gripping and poetic. Each of the six movements is over before one can grasp it. Webern instinctively understood that successful communication in the gravity-less harmonic language he inherited from his teacher depends on clear gestures and, above all, on brevity. These fascinating little jewels that are ostensibly true to their title (bagatelle = a trifle), yet they beg repeated hearings. The Omer Quartet caught and conveyed the spirit masterfully. The Omers (now in the Doctoral Fellowship String Quartet program at the University of Maryland) opened the evening with Mozart’s “Dissonance” Quartet – one of those six perfect works that he dedicated to his mentor Haydn. Something they did splendidly in the proto-atonal introduction, I wish they had continued in the first two movements. When counterpoint overlaps, each voice needs its characteristic dynamic shape emphasized, to bring out the line while remaining true to its own expressive contour. If the quartet members had indeed been doing this, it was too subtle and didn’t project. Despite the fact that the foursome appropriately energized the first movement’s Allegro while finding quietude in the second, the result was rather two-dimensional because of the unrealized counterpoint. In very different repertoire, the Harlem Quartet filled the hall with sound and gesture, creating the impression of a huge range of expression. The Omer Quartet’s Mozart had seemed geared for a much smaller space. The very ornate writing of Mozart’s first movement often went missing — less because of hall reverberation than because of a lack of dramatic dynamic shapes called for by the written-in ornamentation. Appoggiaturas weren’t sufficiently featured, especially in those overlapping canonic passages in both the first and second movement. That said, the third and fourth movements sounded very convincing and delightful. The slithery Menuetto, with its double-takes and pratfalls, was wonderfully timed. In the rousing finale, the comic timing after silences felt perfect. Then the Harlem Quartet offered some of its signature repertoire, including Billy Strayhorn’s iconic “Take the A Train.” Paul Chihara’s wonderful arrangement for string quartet invents solos for each instrument in good style and to uproarious effect. They also played Cuarteto en Guaguacó (the guaguacó is a Cuban rhumba) by Guido Lopez-Gavilán, father of the first violinist Ilmar Gavilán. This infectious, colorful dance piece brought the house down. Kudos to cellist’s groove, the violist’s bravado, the second violinist’s smiling projection and the first’s heroic élan and leading. Harlem and Omer united for the closer, Shostakovich’s Prelude and Scherzo for String Octet (Op. 11), a masterwork that should be heard more often. The eightsome projected the sumptuous Prelude dramatically, with exemplary balances and voicing, and expertly thrilled in the skittish, inebriated Scherzo. It is interesting how recent works will sometimes “speak” to works of past centuries. The rising, tensile first theme of Brahms’s Sextet (a rising fifth linked to another rising fifth by a half-step) perfectly mirrored a principal motif in Shostakovich’s Prelude, though in reverse direction. Similarly, the two most programmatic offerings, Transfigured Night and The Kreutzer Sonata, commune by contradicting each other. The poisonous, misogynist atmosphere of Tolstoy’s story (which inspired the Janáček on the third concert) interestingly contrasted with Dehmel’s and Schoenberg’s beneficence. Perhaps the Tolstoy novella should open with the psychiatrist-general’s warning and a suggested antidote: listen to the Schoenberg! The repertoires and styles of the Ariel and Verona Quartets contrasted delightfully. The Ariel, now based at the Cincinnati College-Conservatory of Music, brought irresistible, kinetic joy, evident immediately in Beethoven’s sunny Op. 18, No. 2 in G Major. The outer sections of the Adagio cantabile boast some of Beethoven’s most beautiful string writing, radiantly realized by the Ariel. The elfin mid-section, and the whole of the third and fourth movements came across appropriately dashing and daring in tempo, bantering fun and harmonic excursions. Throughout, the octaves sounded particularly well balanced and in tune. The opening movement, to my mind, needed more texturing. The characteristic Corellian flourish in the first theme sometimes disappeared into the resonance. Classical composers usually note dynamics (e.g. forte and piano) in all parts simultaneously, but clarity of idea projects better when dynamics of accompanying voices are amended to “mezzo-forte furioso,” as Leon Fleischer once cannily prescribed. Chamber musicians do this as a matter of course — that is our birthright. But I feel that we should do this much more, and be ready to calibrate for each new venue; the result will be more colorful as well as clearer musically. I also felt that this first movement, full of short, halting, fairytale-like phrases, needed more time-taking, especially in rounding off the larger musical paragraphs. Short, halting phrases also feature in Janáček’s quartet after Tolstoy’s novella “The Kreutzer Sonata,” the Ariel’s next offering, but here the emotional intent is different in the extreme — gasping, anxious, tragically unsettled and neurotically indecisive. Tolstoy uses the iconic, fiery Beethoven Sonata (Op. 47 for piano and violin, dedicated to Rudolf Kreutzer) as the final catalyst precipitating the gruesome murder of a wife by a husband overcome with an obsessive jealousy. The wife plays piano with a male violinist/friend with whom she is probably NOT having an affair. The husband (narrating the tale) is convinced she is, however, and his explicit, long-brewing hatred permeates the poisonous rhetoric. Tolstoy’s mood here is clearly misanthropic, and his story is painful to read. It reads less like a cautionary tale than the ravings of a lunatic. And it does no favors for the Beethoven. Tolstoy reviles the first movement’s agitation and dismisses the second and third movements as weak. The Quartet’s searing motivic opening figure, with its half-step clash, continues throughout on both micro and macro levels. The nervous staccato passage that follows, passed around the quartet, evokes the inexorable locomotion of the train and also, perhaps, the insidious intrusion of suspicion and jealousy into domestic life, and its ruinous effect. This passage returns later, spasmodically, in ferocious close canons, and in grating, metallic, sul ponticello, intensifying the turmoil. Janáček’s empathy with the long-suffering wife in the story may explain some of the sad sweetness in the Quartet—something decidedly lacking in the Tolstoy. Interrupted phrases in the second movement suggest a dance gone bad, and the slow canonic imitations in the third movement between violin and cello evoke two lost souls that cannot find each other. Abruptly truncated phrases, uncomfortable pauses, and furtive attempts to change the subject characterize this unique work. The Ariel Quartet understands the drama well and actualized it with virtuosity and sensitivity. And their stratification here of foreground and background was outstanding. After intermission the Verona Quartet, the current ensemble in the Quartet Training Program – were joined by their coach, Paul Katz, in the timeless Schubert Quintet. One could carp about some technical details, and about some balances in the muscular Hungarian finale, but the overall effect of this excellent reading delivered reassurance and transcendence. Hearing it after the Janáček was rather like reliving Transfigured Night, with its progress from despair to hope. The complex textures in the first movement of the Schubert were gauged well. The slow movement floated as it should because the tempo was appropriate (often it is too slow for the second violinist’s melody to be heard as such). The F Minor mid-section exploded with abject terror, as it should. The Scherzo had the right rollicking, outdoorsy quality, and it’s “trio” (quite a misnomer in this case) found the deepest meanings. The last movement ends in kind of a frenzy – this was Schubert’s last major work, and he never heard it! In rapidly declining health, he died a few weeks after completing it. It glows like many of his serene later works, but the accelerating, surging coda of the last movement seems to be a heroic attempt to will joy in the face of catastrophe — to “say it all” when there’s no time to say it. The final bar’s famous modal gesture seems a clear-eyed, courageous acceptance of fate. The Verona Quartet and guest didn’t stint on the required vehemence. The Schubert wholeheartedly and fittingly ended this celebratory, stimulating trio of quartet concerts. Daniel Stepner is Artistic Director of the Aston Magna Festival and Foundation and Professor Emeritus of Brandeis University. He is formerly a member of the Lydian String Quartet, concertmaster of the Handel and Haydn Society and Boston Baroque, a founding member of the Boston Museum Trio (formerly at the MFA), and was for 20 years a Preceptor in Music at Harvard. Comments Off on High Fives for Six Quartets!